If you asked me if I’m a fan of toffee, I probably wouldn’t answer very enthusiastically. I’d probably say I like it but don’t love it. But, as they say, actions speak louder than words. 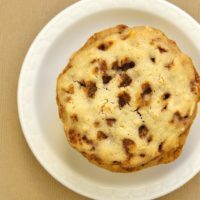 As I looked back through the archives, I found that I actually bake with toffee bits often. So, what do I like about toffee bits? 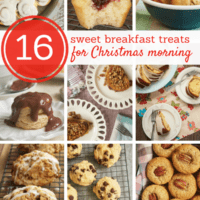 They add a bit of crunch and a lot of flavor to sweet treats. They’re sweet and a little salty. 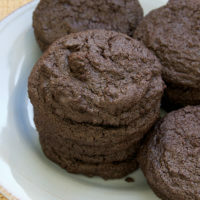 A perfect addition to cookies and brownies and bars! 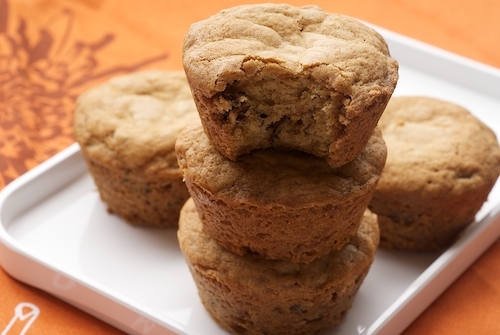 These Blondie Cupcakes are a delicious combination of brown sugar, chocolate, and toffee. 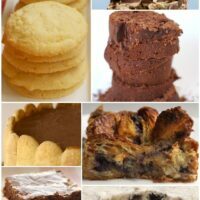 Plus, I always like the idea of blondies (or brownies) baked in muffin pans. 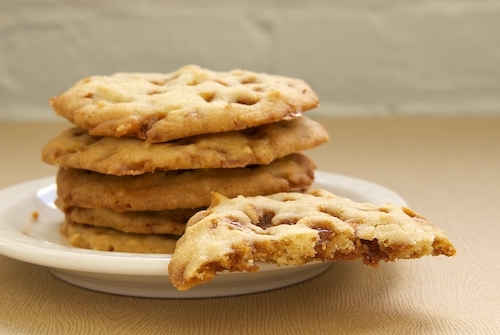 Just this week, I shared these Peanut Toffee Cookies. 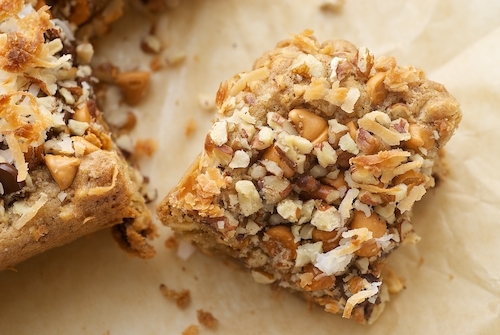 Roasted peanuts pair very well with toffee in a soft cookie full of crunch. 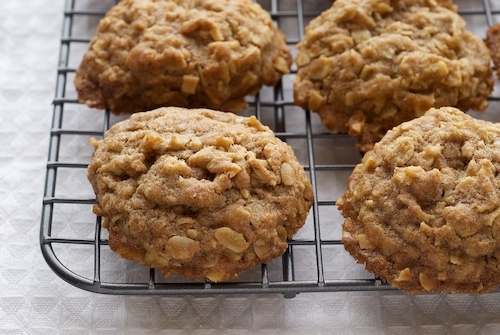 Someone referred to these Toffee Almond Oatmeal Cookies as “secretly healthy.” Whole wheat flour, almonds, and oats are featured here along with a kick of toffee flavor. 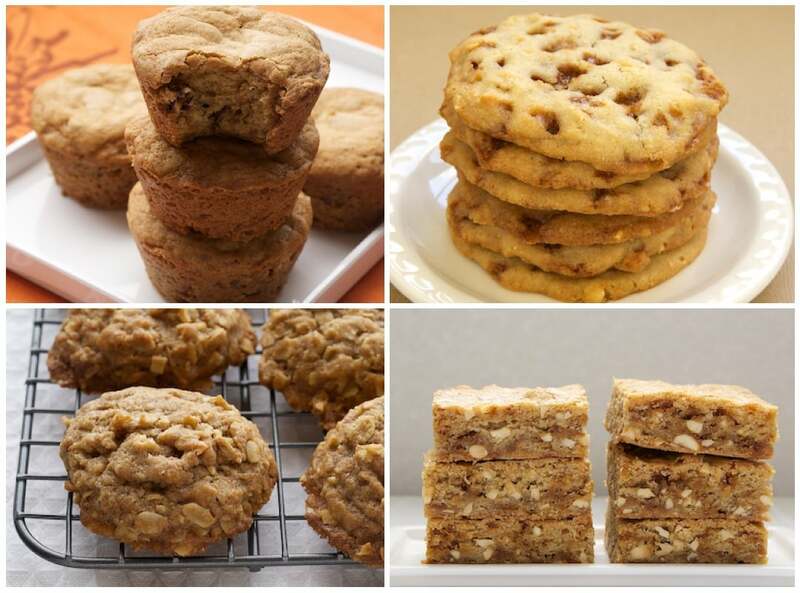 As you can tell from the other recipes featured here, toffee and brown sugar are a pretty perfect pair. 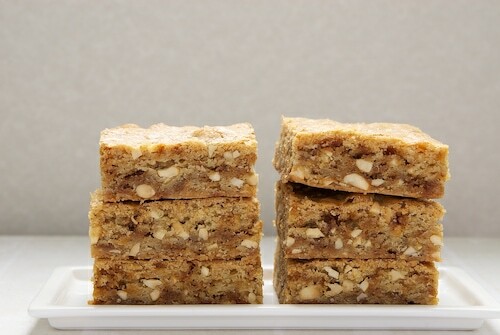 That fabulous combination really shines in these Brown Butter Blondies. I’m a sucker for browned butter, too, so these rank pretty high with me. 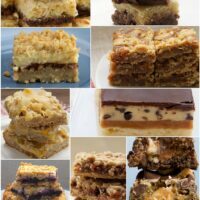 I hesitated to include these Dulce de Leche Bars in this collection. Not because they aren’t good. Believe me, they are so, so good. My hesitation came from the big flavor that dulce de leche gives these bars. Ultimately, I think the toffee accentuates that to a great degree, and that makes them worthy of inclusion. I love how these Toffee Squares manage to taste like a cookie and a candy bar at the same time. There aren’t any toffee bits in these, but they’re so good that I just couldn’t omit them. The toffee flavor comes from the closely related butterscotch chips. Of course, you could always toss some toffee bits into the topping. Hey, what’s that on my iPad screen? It’s my book! I have one of these in my kitchen, and I absolutely love it. It’s two great things in one. 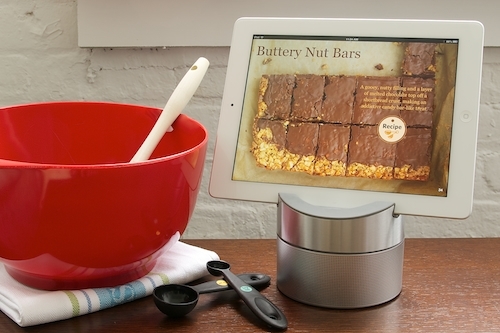 First, it’s a great stand for your iPad while you’re referencing a recipe either online or in an iBook. Secondly, there’s a Bluetooth speaker that can connect to your Bluetooth-enabled device. They can stack or be used separately. There’s much more information at Williams-Sonoma, so be sure to read all the details there. Read all the entry details below. Good luck! Disclosure: Williams-Sonoma provided me with a Smart Tools for iPad Set as well as the set featured in this giveaway. All opinions are my own. 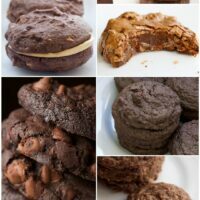 Just when you though the peanut cookies couldn’t get any better! I would love to use the Ipad while cooking! Oh my they all look good. For someone not that keen on toffee, you are darn good at baking with it. Yumm! I love toffee! It’s time to make one of your recipes! I’d use it in the kitchen while making one of your yummy recipes! I would LOVE to win the iPad stand you are offering–however the Rafflecopter is not allowing me to enter the sweepstakes….BUMMER!! 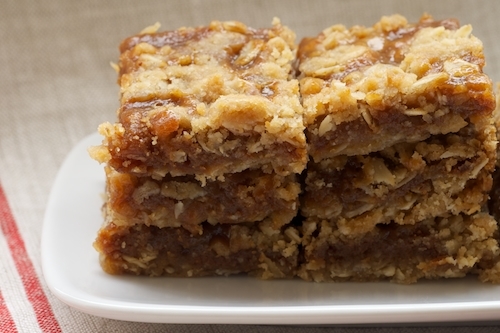 By the way, your recipe for Dulce de Leche Bars were out of this world! !